I adore how in recent years the push to celebrate and empower women continues to gain momentum. And yet typing this, I am filled with sadness that such things are indeed needed to be pushed. And not only with feminism but equality, race or religion. The same can be said for being a single female and the stigma surrounding it. Being labeled a single female doesn’t have the same positive connotations as it does for males. We’re labelled as spinsters or that something is wrong with us; like an influx of feline friends for example. But for men? It’s a badge of honour, characterised as bachelors and looked upon handsomely. As if having attained the ultimate lifestyle for men but for females as if they’ve failed at life somehow. Thankfully things are changing. With the push for equality in feminism and the #metoo movement, the voices of independent females are also making their marks. Like the intellectual twitter ponderings and statements of Feminist Next Door or writer Shani Silver who pens facetious yet sad truths which have an abundance of women relating to (just check out the comment section). 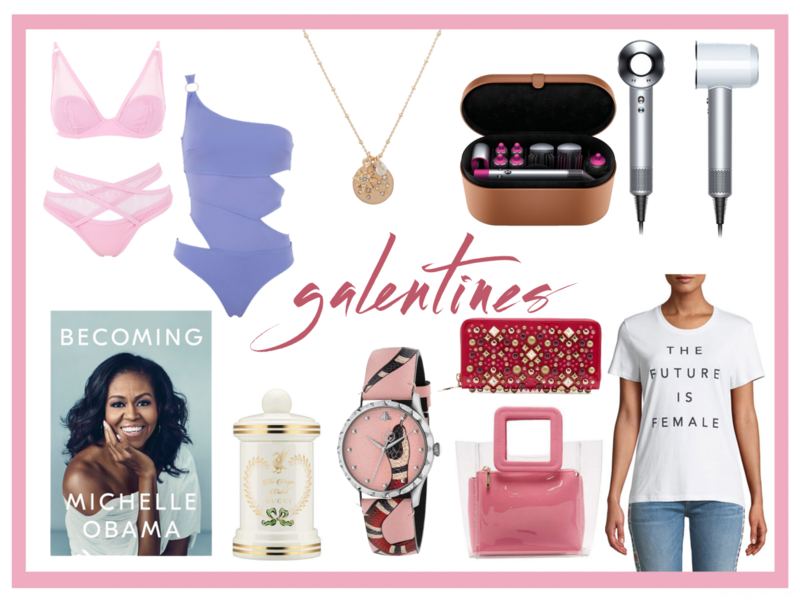 Galentine’s Day may be a recent celebration and slightly controversial, but I applaud the celebration of allowing women to just be women and to proclaim it. Single, taken or with child. Who cares. It’s about revering us as females and our friendships and bonds with one another. I believe in the importance of Galentine’s Day, mainly because females needs to embrace and empower each other now more than ever. And what better way than to do so with those closest to you on the 13th of February? Be it via a coffee or brunch date or carousing long into the night. How about considering extending such an invite to someone outside of your circle? Or an acquaintance? Galentine’s Day is a day to rejoice regardless. For me I am going to extend those Galentine’s Day festivities over to the 14th of February. But on this day I am going to celebrate and treat myself. And maybe be a little unapologetically pink too.